Valentine’s Day is just around the corner and if you’ve got a hot date planned, it’s probably a good time to starting thinking about what you’ll wear. Dressing for a date is difficult at the best of times, but it can be even harder than normal when you wear glasses. You’ll need to make sure your glasses look great with your outfit and don’t clash with your fashion choices. So should you go for a subtle look or a statement style? Your usual frames or something a little dressier? Or should you just ditch your glasses altogether and go with contacts instead? The decisions are endless…. Luckily, SelectSpecs are here to help. We think that glasses are a perfect date accessory and are a great way to show the real you. So, here are three stylish Valentine’s Day outfit ideas to give you some inspiration for your romantic rendezvous. Our first date-ready outfit is inspired by retro fashion for a fun and flirty look that’s sure to impress. This is a perfect option whether you’re heading to dinner, to the movies or for a round of bowling this Valentine’s Day. For a nod to fifties style, swap your usual specs for a pair of cat eye glasses such as the Tom Ford FT5354 glasses. These glasses feature classic black cat eye frames and soft gold metal arms for a retro yet contemporary look. To complete the vintage vixen makeover, we suggest a retro flared skirt teamed with a bardot top and a pair of cute flats to keep things practical. Complete the look with a slick of bright pink lipstick and some heart-shaped jewelry for a subtle touch of romance. If your date involves something a little more active such as a walk in the park or a visit to a museum, we’ve got the perfect Valentine’s Day date outfit for you. For a relaxed look, wayfarer glasses are a great choice – they’re simple, stylish and easy to wear. 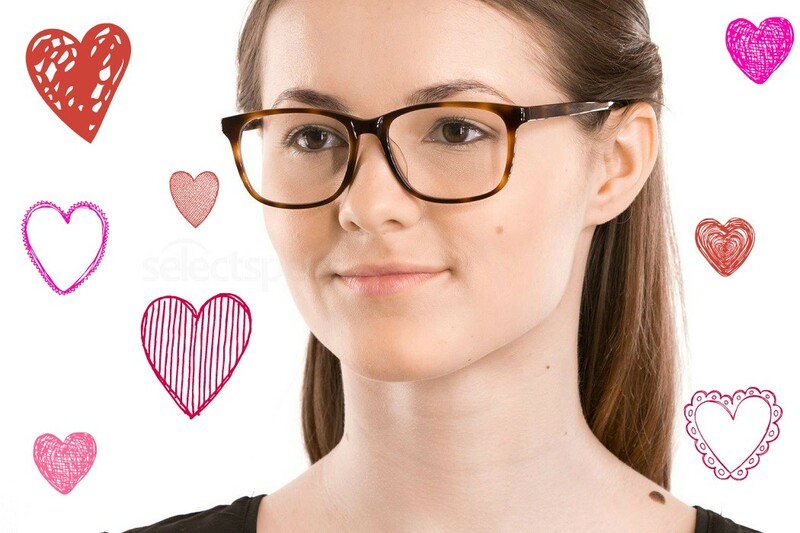 We love the Hallmark B81110 glasses which feature classic tortoiseshell frames. The key to this look is to keep things casual yet cute. You still want to look like you’ve made an effort, after all. Relaxed fit jeans will look great with a top that’s a little more dressy such as this fun heart print shirt. 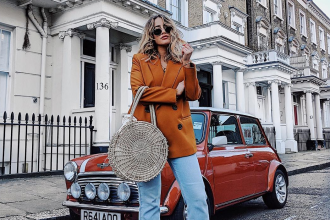 Finish with a pair of shoes that are comfortable and fashionable (Converse are a winner) and finish with some pretty accessories in taupe and rose gold. Finally, if you really want to turn your date’s head, go all out glamorous. This look is perfect if you’ve got a special dinner date or a formal occasion lined up for February 14th. A little black dress is a classic choice and will provide a perfect backdrop for a pair of statement glasses. We recommend the gorgeous Dior CD3286 glasses which feature cat eye frames and bold red arms for a heart-racing look that will draw attention to your eyes. Finish with a pair of black peep toes and a chic clutch bag, and don’t forget a dash of red lipstick. So which of our Valentine’s Day outfits do you like the most? Let us know in the comments below or tweet us at @SelectSpecs. And have a wonderful Valentine’s Day, whatever your plans involve! Previous articleJohnny Depp’s 3 Most Wackiest Movie Eyewear Choices!